Facebook appears to be working on a Messenger desktop app for Mac computers, according to TechCrunch. 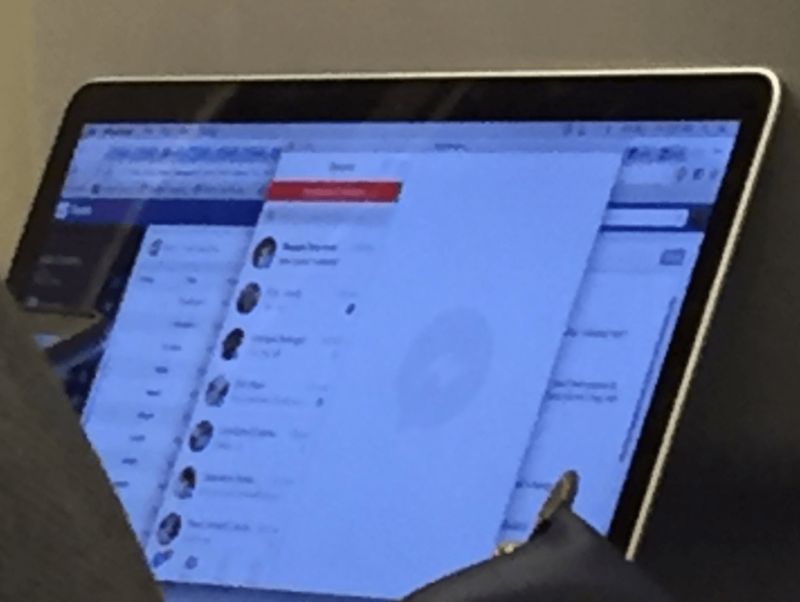 The company declined to comment on a leaked photo obtained by TechCrunch, which appears to show a Facebook employee using a version of the Messenger app on a Mac computer. The low-resolution close-up photo was paired with an eyewitness report of the Facebook Messenger for Mac desktop app, according to TechCrunch. The photo shows an interface not unlike the one used for Apple’s Messages app for Mac computers, featuring a list of conversations in the left column and a space for expanding the details of each conversation in the right section of the app’s window. The bottom left of the app appears to lay out a navigation tab bar similar to the one found in the Facebook Messenger iOS app. A desktop-dedicated messaging app is far from a new concept, with the likes of KakaoTalk, Line, and WeChat boasting desktop apps of their own. Facebook also released a Messenger app for Windows desktops in March 2012, noting that it was “busy working on Messenger for Mac.” Two years later, Facebook shut down its Messenger app for Windows. All this said, it’s important to note that the appearance of this photo does not mean Facebook will actually release a Messenger for Mac desktop app. Earlier this week, Facebook announced that Messenger now boasts 800 million active users each month.